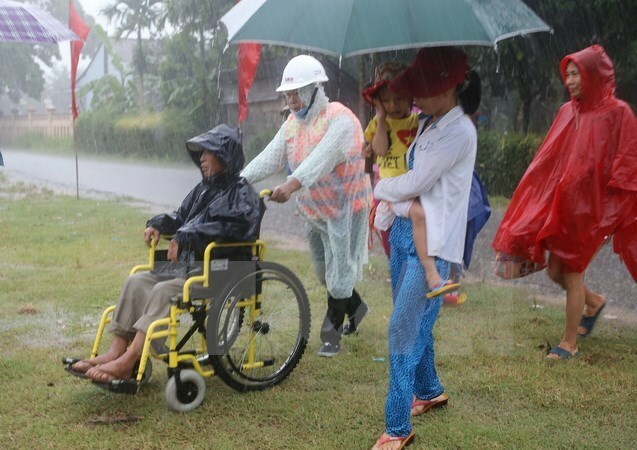 Hanoi (VNA) – A project on boosting the capability of responding to disasters, sponsored by the United States Agency for International Development (USAID), is being implemented in the central region until March 2017. It was reported at a workshop in Hanoi on November 24 that the 2.5 million USD project is carried out by a five-partner coalition, in which the Vietnam Red Cross Society (VNRCS) is the partner of the US Red Cross Society (USRCS). Starting in October, the scheme will benefit 68 communes in four provinces with a population of 434,000 people in four provinces: Quang Ngai, Quang Nam, Quang Tri and Ha Tinh. The VNRCS will coordinate with the USRCS to implement part of the project in three urban wards in Quang Ngai, Quang Nam and Ha Tinh and provide technical support for areas in which the project is implemented by their coalition partners. The project will support the implementation of a project on raising the awareness of community and community-based risk management and develop local people’s capability of responding to disasters by integrating it into programmes on gender and disabled people. The project will also help local governments to include disaster consequence mitigation into local socio-economic development plans.